Over a series of projects exeGesIS created a provisional spatial inventory of wood pasture and parkland in England. 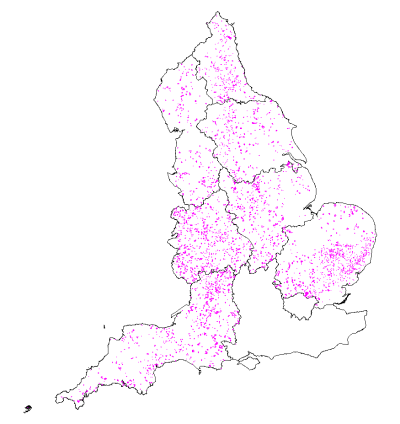 Initially England-wide data were sourced from appropriate organisations and used to create a rough dataset of wood-pasture and parkland locations and boundaries, both current and historic. Over successive years these data were assessed to refine the boundary and attribute information associated with each polygon in the inventory and additional data were sourced regionally for inclusion. A data capture rule base was created and maintained throughout these projects, to act as a guide to wood-pasture and parkland assessment. Data were assessed against historic maps and aerial photography, as well as modern data sources. 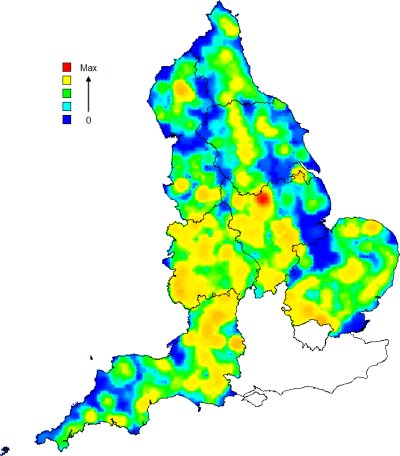 Ground truthing was undertaken in the west midlands and south west, through which the inventory data capture rule base was refined to ensure the best assessment of available datasets. The resulting provisional inventory mapped 156,838 ha of wood-pasture and parkland, though this was known to overestimate the actual extent, and it was estimated to include over 5,000 sites made up of over 7,500 polygons.